Teach your athletes to Sprint over Hurdles instead of jumping. 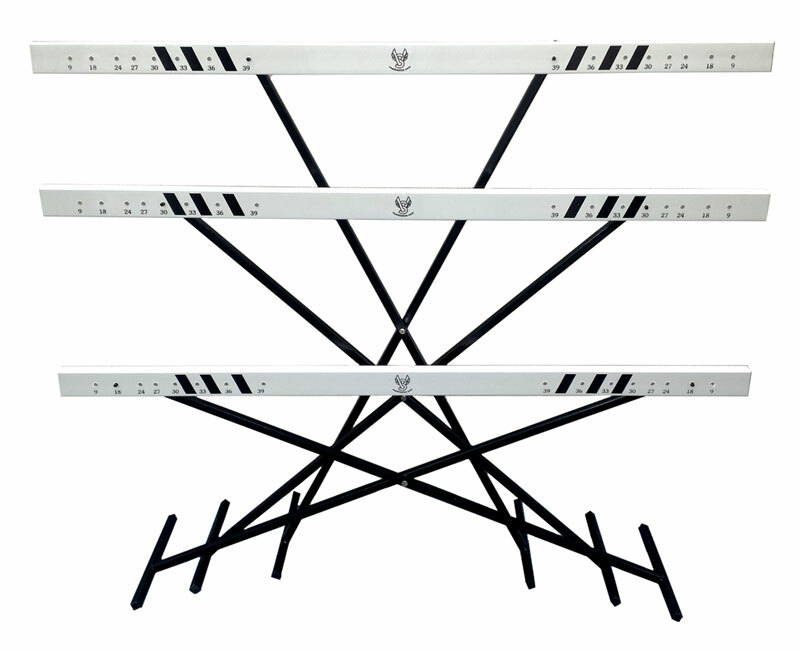 Adjustable: 9", 18", 24", 27", 30", 33", 36", & 39"
One Year Warranty on workmanship! Carry bag is FREE when you purchase 10 or more complete hurdles. PLEASE MAKE SURE OF WHAT YOU ARE ADDING TO YOUR CART, IF THE HURDLE IS SOLD OUT, THE REPLACEMENT BOARD BECOMES THE DEFAULT SELECTION. Great hurdles for training as is their purpose. They break away fairly easy once they have been used a while. They stay up surprisingly in breezy conditions, but will fall over with a heavy gust of wind. Great equipment for the price. I like the adjustable Hurdles to implement technique and structure.